Nicolaus Mulerius was born in Brugge in 1664. 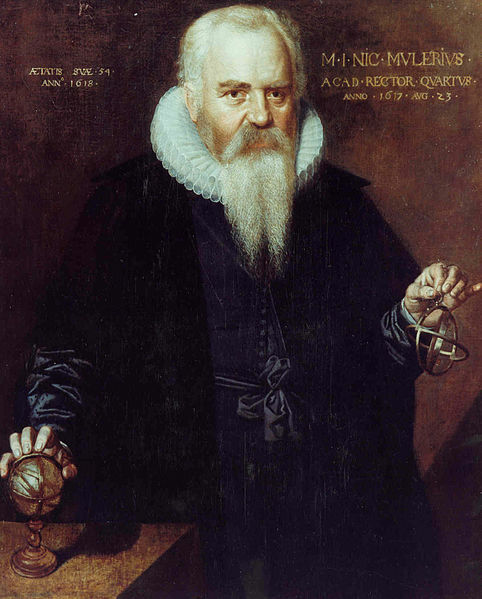 In 1614 he became the second professor at the University of Groningen, after Ubbo Emmius. He taught medicine and mathematics untill his death in Groningen in 1630. He brought out a new edition of Copernicus, Astronomia instaurata, printed by Willem Janszoon Blaeu, Amsterdam, 1617.